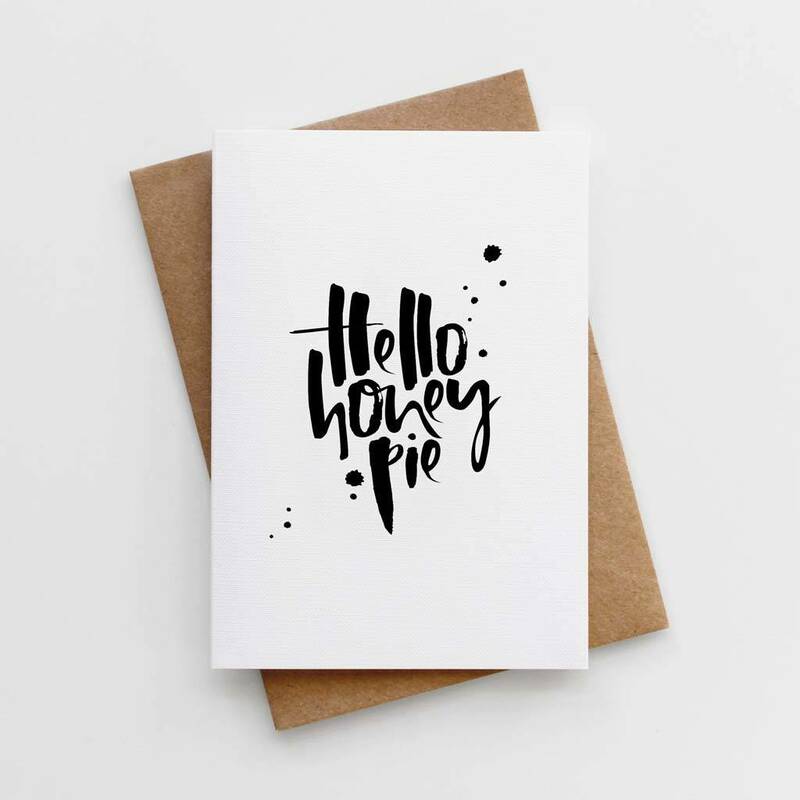 A sweet, every day, hand lettered greeting card for family and friends. Our luxurious hand lettered greetings cards are made with a whole heap of love especially for you. 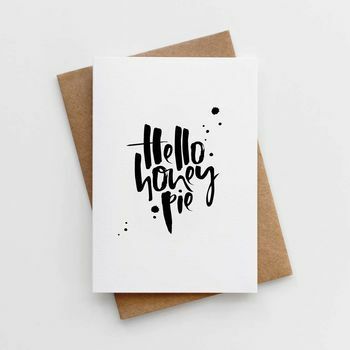 The perfect card to just say 'Hello'! Our unique, contemporary and eye catching designs are created by hand using a Japanese brush pen and rich, black Indian ink. Each design is then printed on luxurious FSC certified textured 350gsm card, teamed with a recycled kraft envelope.